A variety of tactics that can help you learn Japanese are not that hard and do not even require that much effort. 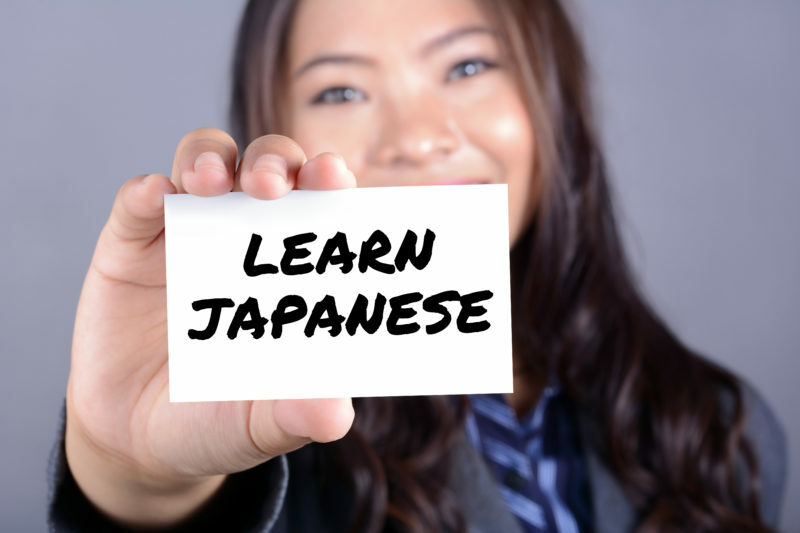 Perhaps you have heard about about a few of the best ways to how to learn Japanese in a week. You might even be putting a few of them into practice already, but you can’t really tell how they are working. We won’t deny that active learning is a great way to study, but only exercising active study tactics could get monotonous in the long run. Allow us to pass a few helpful tidbits of information about all the ways passive learning can benefit you in figuring out how to learn Japanese in a week. In terms of the Japanese language, the passive learning approach we’ll be describing here mostly involves consuming different forms of Japanese media. The passive part is how you are not actively doing something other than simply listening to someone speak Japanese. You won’t be taking any notes, you won’t be stopping the audio, video or game to go over what you just consumed. You just have to take in the language as it stands. This can be carried out with or without English subtitles, but that will depend on your Japanese ability at the moment. We usually notice that those who know more Japanese get more out of passive learning. It all revolves around taking in Japanese media and putting vocabulary learning on the backburner. Even when you hardly know any Japanese at all, many easy things can be done to prepare you for your future endeavors. Simply listening to Japanese being spoken will make you more and more comfortable with it. You do not even need to understand what they are saying at this point. Listening to people speak Japanese creates a feeling of familiarity in you. That means the more you passively listen, the less foreign it will become to your ears. Perhaps you will notice people speaking Japanese in public, but you are not exactly sure what they’re saying yet. This may not seem like that much of an accomplishment, but it is an enormous step toward familiarizing yourself with the language. One of the greatest benefits of passive learning before learning a bunch of vocabulary is how comfortable you will be with the pronunciations. Your understanding of the proper way to use the accent, tone and pronunciation will be much higher than if you just dove straight into it. Whether you can consciously observe it or not, your brain picks up to the way Japanese sounds. This will ideally allow for a much easier time when it’s your turn to reproduce these sounds. There are multitudes of movies, dramas, animes, games, podcasts and even audiobooks you could utilize. Is there a show you love to watch that is from Japan? Start watching it in Japanese without the English subtitles. You have seen it before, so it will be straightforward to simply follow along with it already. Your brain may even begin to understand a few common phrases or words from listening and watching. You may pick up a few phrases in the show that you hear down the line—cutting down on your learning curve tremendously. This goes for games that allow for a Japanese audio option as well. When video games have this feature, you shouldn’t hesitate to make use of it. It may not be as helpful as movies and shows as you’ll need to read the English dialogue, but utilizing the Japanese audio is much better than the English version. You may not have the time to watch a movie or play a game. Perhaps you are in a car, a subway or a bike—you would want to use audio-only media such as music, audiobooks and podcasts. Music provides a great opportunity to learn more pronunciation if you end up singing along—even when you unsure what they imply. Audiobooks are great to use as well—and are a resource people often overlook. If you like Harry Potter and you don’t know that much Japanese, certain words will still make sense to you such as Dumbledore, Hogwarts and Voldemort. You will also be listening to the way they’d sound in Japanese, so your pronunciation will get better—particularly with loan words and various katakana-written things. Play small bits and pieces while you’re commuting to work. It’s better than the top 40s people normally play and doesn’t require as much focus as something like an audio lesson does. Passive learning doesn’t get you too far by itself. Passive learning is good on its own for beginners and those nearing mastery of the Japanese language. Those who are close to the master level can benefit from passive learning because they know so much already. Your brain automatically does most of the work in the beginning because everything is new and it is making subconscious associations. You might hear a new word every once in a while that she should write down and memorize later. The majority of your time will be spent picking up new understandings through intuition and content. It’s during the intermediate stage that you should be combining your passive learning with “old school” active learning. It requires the most amount of work, but a few of the best ways include picking out a show—such as an anime or a drama—and creating Anki flashcards that include all of the words from the show. You can proactively study them and then use passive learning to watch the show and listen to the words you actively learned through the flashcards. The experience you gain while learning is reinforced and it makes it a lot easier to recognize phrases and words as they’ll line up with the show’s context. It’s hard to learn something with no effort, but what we described will give you enough to do with barely any effort. A lot will work better with a bit of active learning thrown in there, but it’s nice to have a means of breaking up active studies with a few passive ones.